What does St. Paul’s appeal for unity in Christ mean for the church today? The following excerpt comes from Gregory Lockwood’s Concordia Popular Commentary: 1 Corinthians. In the excerpt, Dr. Lockwood discusses St. Paul’s words in 1 Corinthians 1:10–17 about divisions in the church and their meaning for us today. How does the tendency Paul deplores in 1 Cor 1:10–17 manifest itself in the contemporary church? In response to this question, many scholars naturally think of our denominational divisions. It is indeed true—and it cannot be stated too strongly—that wherever Christians take a chauvinistic pride in their own denomination, there Paul’s warnings and judgment must be heeded. However, we cannot simply draw a straight line from Paul’s text to the modern denominational scene without some qualifications. In the first place, I ask that men make no reference to my name; let them call themselves Christians, not Lutherans. What is Luther? After all, the teaching is not mine. . . . Neither was I crucified for anyone. . . . St. Paul, in I Corinthians 3, would not allow the Christians to call themselves Pauline or Petrine, but Christian. How then should I—poor stinking maggot-fodder that I am—come to have men call the children of Christ by my wretched name? Not so, my dear friends; let us abolish all party names and call ourselves Christians. However, members of a denomination named after an individual do not necessarily pledge allegiance to every opinion of that individual over against the Word of God. Nor does such a denominational name imply disagreement with other Christians throughout history who have confessed the Gospel. Rather, an individual’s name may be appropriated precisely because he confessed the truth of the Gospel with exceptional clarity, and perhaps also in contradistinction to others who were obscuring or even denying the Gospel. In such cases, the label may help signify one’s agreement with the true Gospel confessed also by all believers of all times. 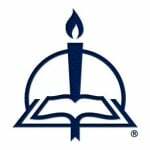 For example, the Lutheran church, in calling itself “Lutheran,” identifies itself as a confessor of the one catholic faith expressed in the three ecumenical creeds and the Lutheran Confessions. Moreover, it should be recognized that the differences between churches frequently do involve important differences in doctrine and practice, whereas there is no evidence that the factions Paul describes in 1 Corinthians 1 represented any differences in doctrine or practice. The way Paul describes the problem, it seems the factions simply were the result of personal preferences for one of the unwilling factional “leaders”: Paul, Apollos, Cephas, or Christ (1 Cor 1:12). Paul condemns the divisions because there was no valid, substantive basis for them. All the excitement was being generated by their followers in their overcharged enthusiasm for one leader over another. But later in 1 Corinthians, when Paul refers to “divisions” (11:18, the same word as in 1:10 and 12:25) that involve differences regarding the Lord’s Supper, Paul actually commends the existence of such divisions, saying, “For there must be divisions among you, in order that those who are genuine may be manifested among you” (11:19). In other words, the divisions revealed which members were remaining faithful and which were not. In another context, Paul himself also did not hesitate to take a firm stand against Peter and rebuke him publicly when a disagreement arose about church fellowship (Gal 2:11–21). Taking all of the above into account, one must say that the tragedy behind the existence of divisions and denominations today is that many in Christendom have departed from the apostolic Gospel in various matters of doctrine and practice. The scandal is caused by departure from the truth, and the restoration of the church’s unity requires all parties to return to the one catholic and apostolic faith. The union of visible church bodies does not necessarily accomplish that return to unity in the true faith. The word of the cross, the Gospel of Jesus Christ, defines what the church is and what the church must be if it is to remain Christ’s. On the basis of the Gospel, Paul will order the excommunication of the incestuous man and forbid fellowship with immoral persons (1 Corinthians 5). The apostle will spell out the implications of the Gospel for marriage and sexuality, the Lord’s Supper, worship, spiritual gifts, and the role of women (1 Corinthians 6–14). He will repeat the apostolic tradition about the resurrection, without which faith is in vain (1 Corinthians 15). The dominical and apostolic Gospel is now recorded in the Scriptures. For modern denominations and congregations, as for the Corinthian church, the practice of fellowship must be based on fidelity to that authoritative teaching. No article of the Christian faith can be abandoned or compromised as unimportant or irrelevant for the church’s unity. The modern phenomenon in Christendom that most resembles the situation in Corinth probably is the tendency to idolize the “brilliant” (or even the not-so-brilliant) theologian or the outstanding churchman or evangelist. Such movements can assume cultic features, and the dynamics can be operative apart from any organization or name. Paul himself wrote that neither he nor Apollos was anything; all glory belonged to God, who alone caused his Word to bear fruit (3:7; cf. 2 Cor 12:11). It is the one Spirit who leads us into all truth (Jn 16:13). And that truth is found only in Jesus (Eph 4:21; cf. Col 2:3). 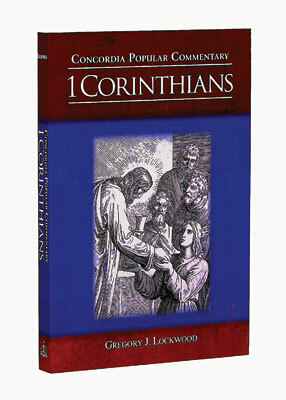 From Concordia Popular Commentary: 1 Corinthians, pages 32–33 © 2010 Concordia Publishing House. All rights reserved.